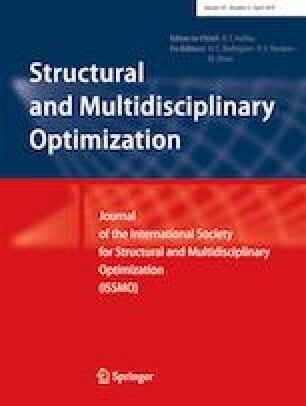 This work provides an optimality criteria-based method for the simultaneous optimization of the structural design and optimal placement of piezoelectric actuators for statically loaded structures. The goal of the topology optimization is to find the optimal distribution of the structural and piezoelectric materials in the compliance minimization context with a volume constraint for each material. All expressions used in the implementation of the resulting algorithm are developed in detail. Some numerical complications inherent to the type of problem we are dealing with are discussed and a numerical procedure is proposed for each one. Results are shown for two-dimensional beams through four numerical examples. The authors are grateful to Fabrício Bandeira Cabral and Leslie Darien Pérez Fernández for their contributions to the improvement of this work. The second and third authors received financial support from the CNPq (Brazilian Research Council) and CAPES (Brazilian Higher Education Staff Training Agency), respectively.